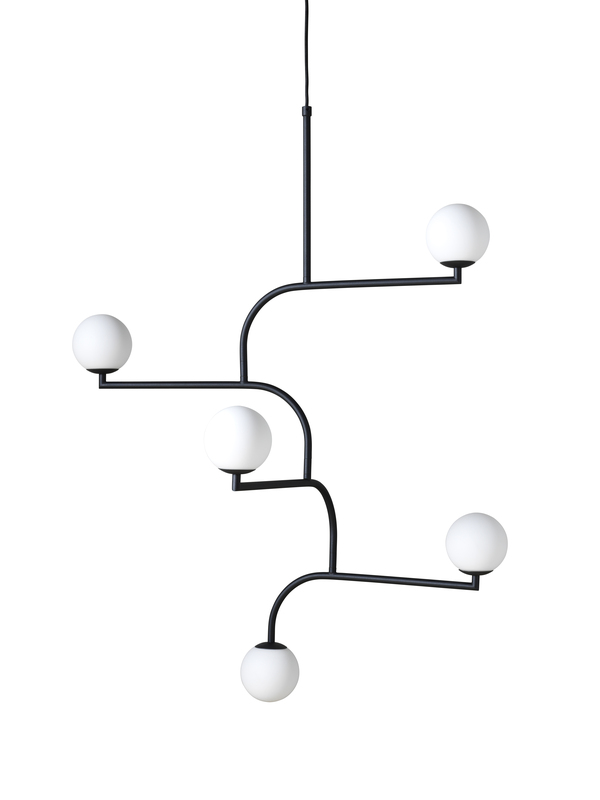 Thinking of the typical New York balcony racks in black metal and the round streetlights on Brooklyn Bridge. 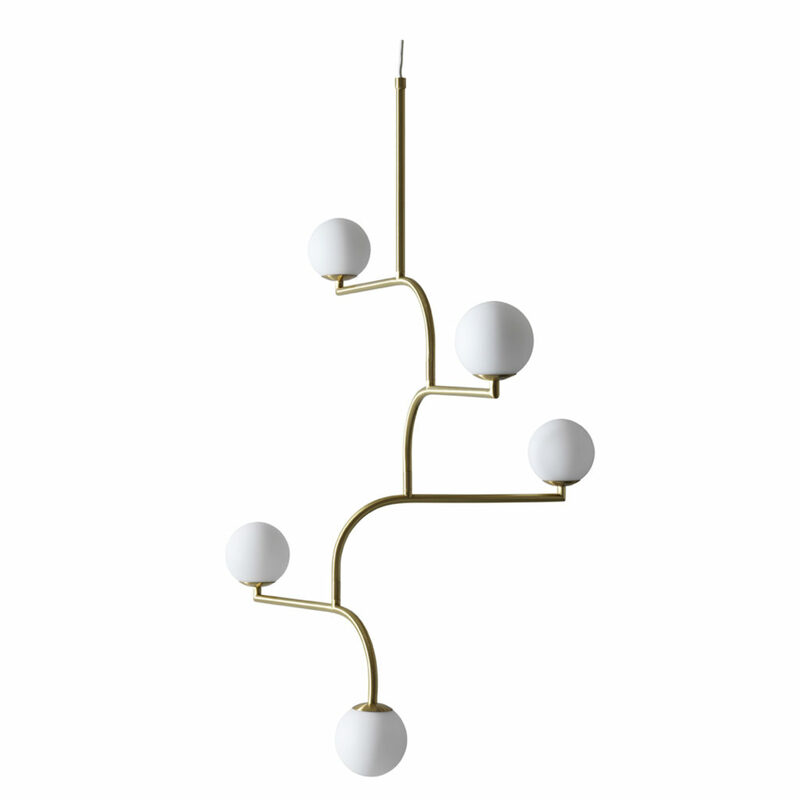 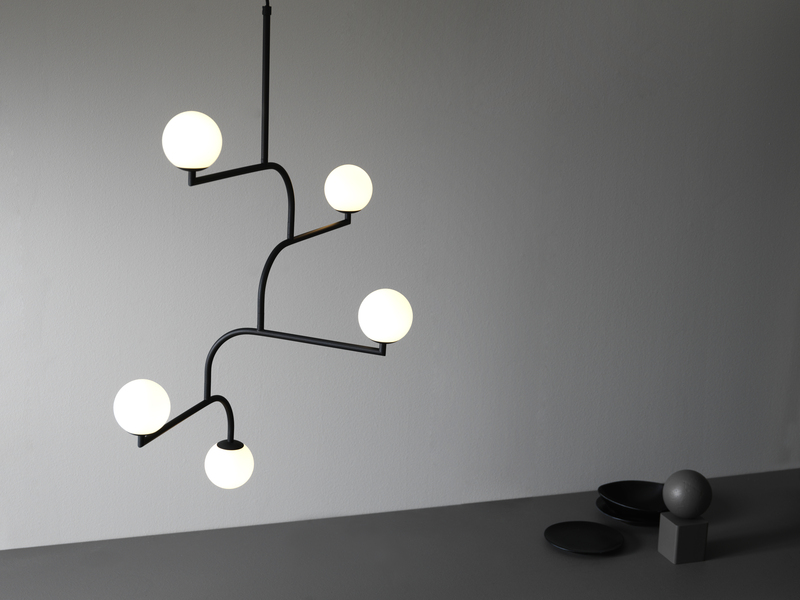 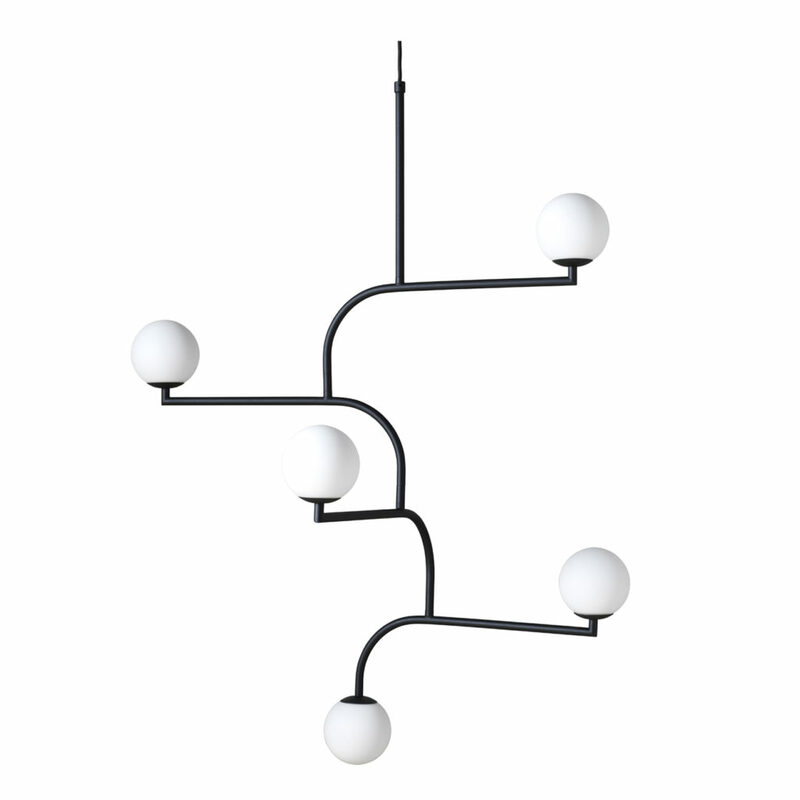 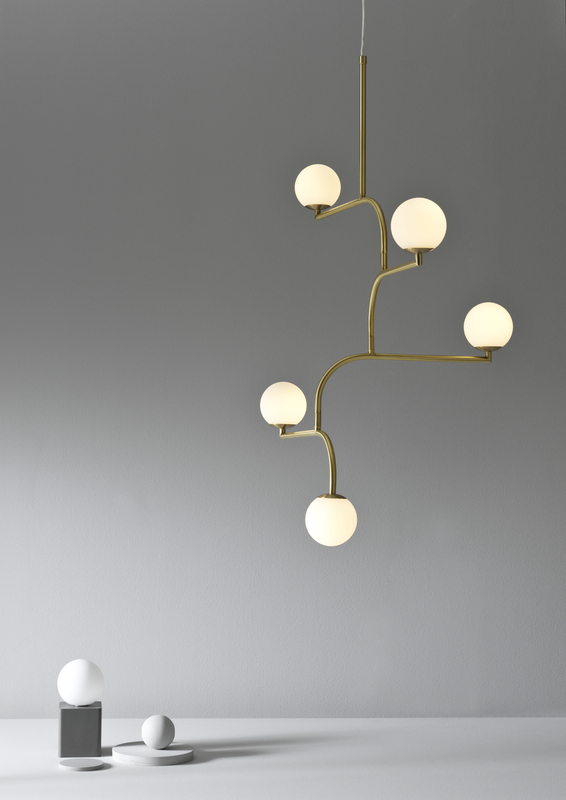 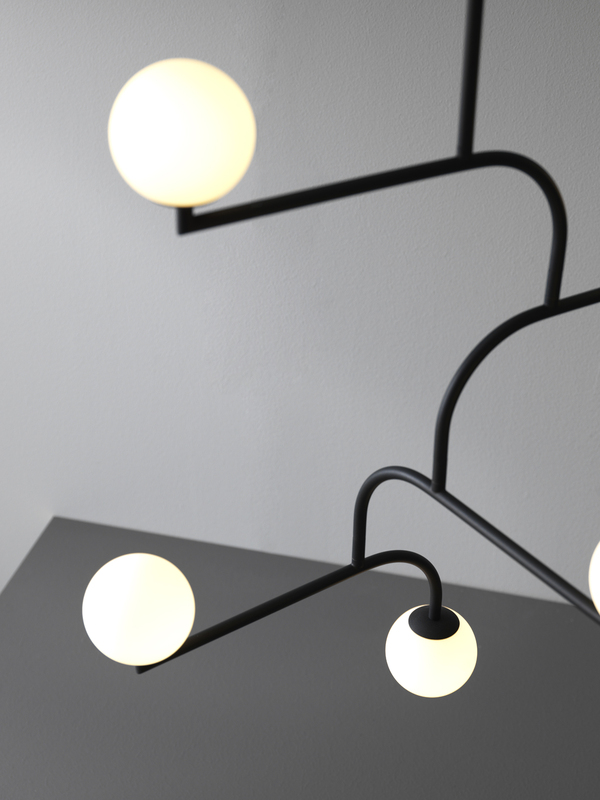 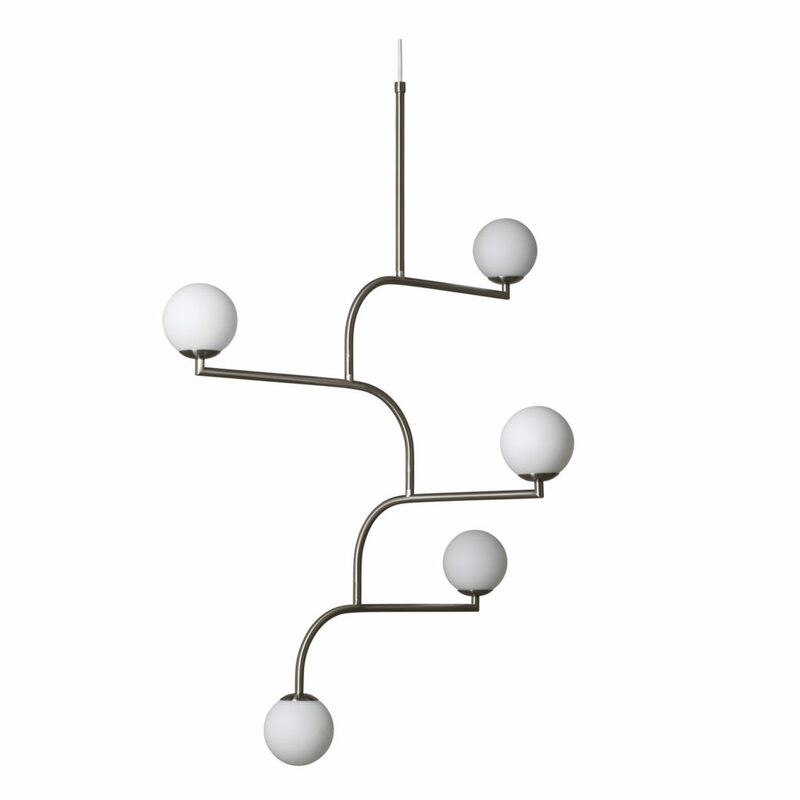 Those ingredients resulted into a pendant lamp where 4 equal parts are linked on each other. 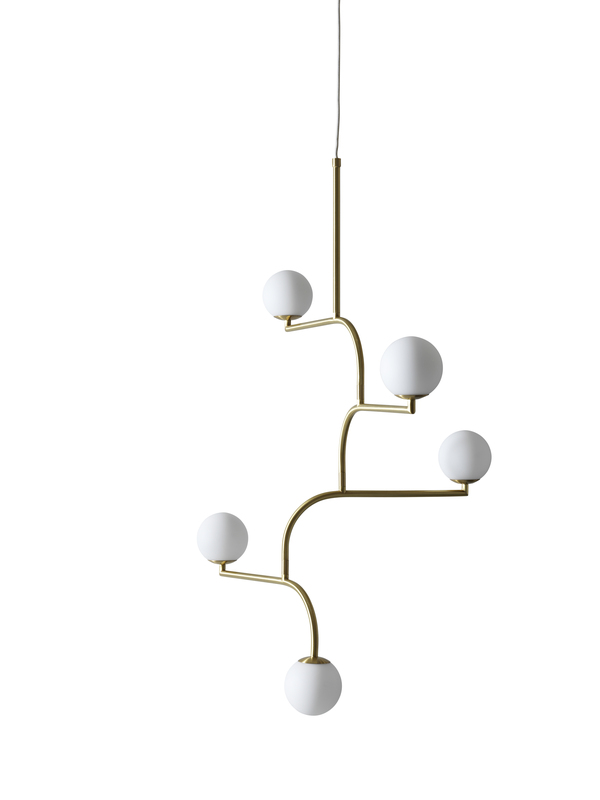 Turning each part makes it look like a mobile. 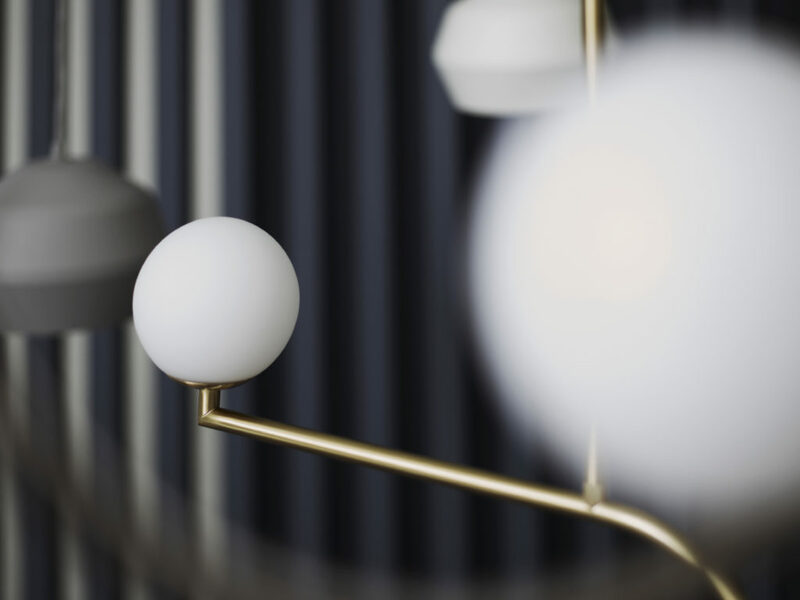 The wall lamp and table lamp in the same collection are minimalistic.